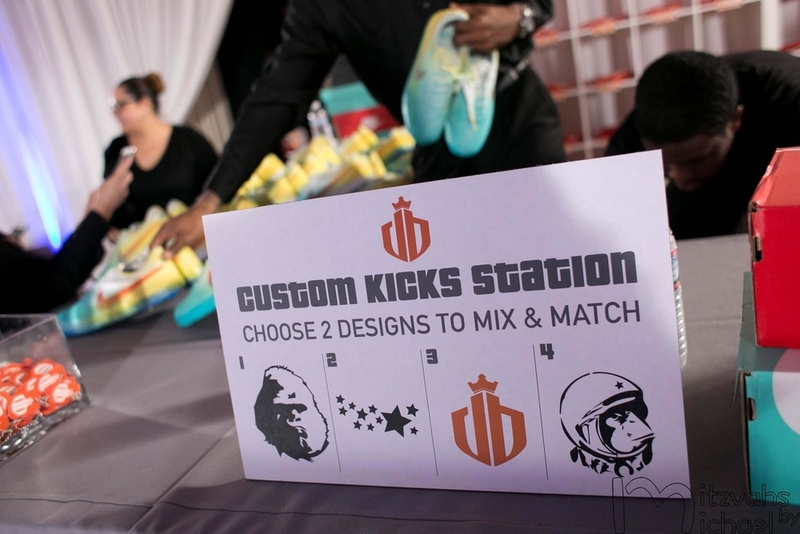 Do it up big with an event themed logo, airbrushed kicks & live screen printed tees designed by our award winning crew. View what we created for a Bar Mitzvah with the luxury event team at Evoke. We can work with a wide range of talented artists to bring your idea to life. Don't forget to promote your event with our social media package. Don't see what you need? Let's talk.